This exclusive Buckhead estate in the Whitestone community was designed by our Atlanta architects to depict French Country style. Featured in Atlanta Homes & Lifestyle magazine, this beautiful custom home has terraced stone walls, European-style motor court, covered loggia, custom pool and a breakfast courtyard. The interior with generous natural daylight is appointed with a paneled study, four wood-burning stone fireplaces, main level bedroom suites, wine cellar, home theater, and an open professional kitchen. The unique design incorporates vernacular architectural elements and sustainable design features. Components such as dormers, chimneys, covered porches, and the porte cochere were uniquely composed and exemplify elements of French-country manor architecture. We utilized durable long-lasting, natural materials like copper, stone, slate, brick, local granite cobblestones, and century-old, heavy timber beams recycled from an Ohio factory. 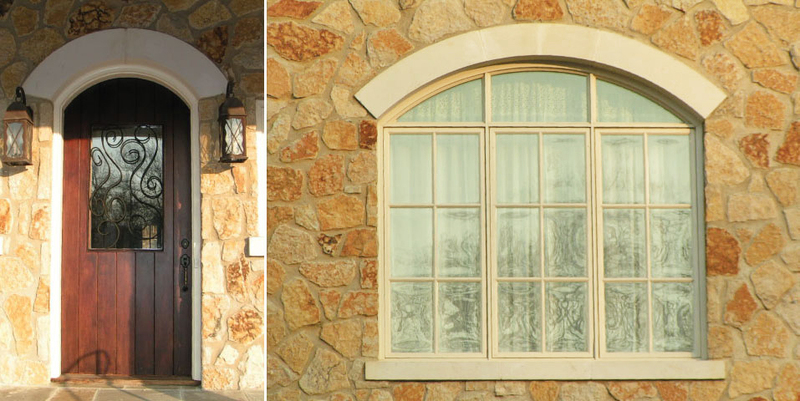 Energy efficient windows were installed throughout this high-end residence.